Patients who are recommended artificial hip replacement surgery are generally hoping to experience increased mobility and less pain. Unfortunately for many people though, receiving an artificial hip may result in revision surgery to remove and replace the hip entirely. This type of procedure is extremely invasive, compared to the original, which involves an implant placed within a patient’s femur and hip joint. If a hip replacement should fail early, patients often file hip replacement lawsuits seeking compensation for the out-of-pocket medical costs and lost wages, and pain and suffering they may have been caused as a result of their situation. DePuy Orthopaedics is currently facing thousands of lawsuits over two of its metal-on-metal hip replacement devices. The first is its DePuy ASR Hip Replacement System, which was recalled in August 2010 due to excessively high failure rates discovered in Europe. Plaintiffs in these cases, many of which are currently pending in a multidistrict litigation underway in the U.S. District Court, Northern District of Ohio similarly accuse the Johnson & Johnson subsidiary of failing to warn about risks associated with the ASR’s all-metal design. Claimants say this may result in the build-up of metallic debris in the blood stream, which can lead to complications. In November 2013, manufacturers of the ASR hip proposed a settlement that would resolve approximately 8,000 claims over the device, court documents indicate. Thousands of lawsuits have also been filed over a version of the DePuy Pinnacle Hip Replacement that incorporates a metal Ultamet liner. Manufactured in 2005, this device has not been subject to a recall but has been associated with similar complications to the ASR. 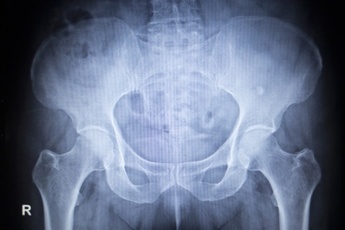 The all-metal Pinnacle hip was approved via the U.S. Food and Drug Administration (FDA)’s 510(k) process, which allows a product to bypass clinical human testing in order to receive market clearance. Plaintiffs in Stryker hip replacement lawsuits allege similar injuries caused by the Rejuvenate and ABG II modular-neck hip stems, which were recalled on July 6, 2012. These complications were allegedly caused by fretting and corrosion of the hips’ metal components; the very reason they were recalled by Stryker Orthopaedics. Following the recall, Stryker advised on its website that all Rejuvenate and ABG II hip recipients undergo routine metal ion testing and cross sectional imaging to monitor for premature device failure. A multidistrict litigation involving Stryker Rejuvenate lawsuits is now underway in the U.S. District Court, District of Minnesota, while a consolidated proceeding is continuing to move forward in New Jersey’s Bergen County. Following its entrance to the U.S. market in 2004, the Biomet M2a Magnum was revered by the medical community as a viable hip replacement option for younger patients. This was largely due to claims from Biomet Inc. that it was durable and long-lasting; at least 15 years or more. As of July 2014, more than 2,000 Biomet hip replacement lawsuits were filed in in the Northern District of Indiana, where a federal multidistrict litigation is underway. The Court approved a settlement proposed by Biomet in February 2014, however, that may resolve hundreds of these claims. In order to go into effect, the agreement must be accepted by 90% of eligible plaintiffs, court documents indicate. The Wright Conserve hip replacement is suggested for use in younger patients, or those who are more active, as it may be more durable than some other traditional total hip replacements. These individuals may be more likely to experience wear-and-tear of the implant, which may require revision surgery, according to the FDA’s website. The Wright Profemur hip is designed similarly to the Conserve, which has also been named in hip replacement lawsuits.